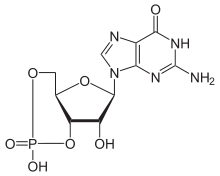 A phosphodiesterase (PDE) is any enzyme that breaks a phosphodiester bond. Usually, phosphodiesterase refers to cyclic nucleotide phosphodiesterases, which have great clinical significance and are described below. However, there are many other families of phosphodiesterases, including phospholipases C and D, autotaxin, sphingomyelin phosphodiesterase, DNases, RNases, and restriction endonucleases (which all break the phosphodiester backbone of DNA or RNA), as well as numerous less-well-characterized small-molecule phosphodiesterases. The cyclic nucleotide phosphodiesterases comprise a group of enzymes that degrade the phosphodiester bond in the second messenger molecules cAMP and cGMP. They regulate the localization, duration, and amplitude of cyclic nucleotide signaling within subcellular domains. PDEs are therefore important regulators of signal transduction mediated by these second messenger molecules. These multiple forms (isoforms or subtypes) of phosphodiesterase were isolated from rat brain using polyacrylamide gel electrophoresis in the early 1970s, and were soon afterward shown to be selectively inhibited by a variety of drugs in brain and other tissues. The potential for selective phosphodiesterase inhibitors to be used as therapeutic agents was predicted in the 1970s. This prediction has now come to pass in a variety of fields (e.g. sildenafil as a PDE5 inhibitor and Rolipram as a PDE4 inhibitor). The PDE nomenclature signifies the PDE family with an Arabic numeral, then a capital letter denotes the gene in that family, and a second and final Arabic numeral then indicates the splice variant derived from a single gene (e.g., PDE1C3: family 1, gene C, splicing variant 3). PDE substrate specificities by enzyme family. Both means it hydrolyzes both cAMP and cGMP. Different PDEs of the same family are functionally related despite the fact that their amino acid sequences can show considerable divergence. PDEs have different substrate specificities. Some are cAMP-selective hydrolases (PDE4, 7 and 8); others are cGMP-selective (PDE5, 6, and 9). Others can hydrolyse both cAMP and cGMP (PDE1, 2, 3, 10, and 11). PDE3 is sometimes referred to as cGMP-inhibited phosphodiesterase. Although PDE2 can hydrolyze both cyclic nucleotides, binding of cGMP to the regulatory GAF-B domain will increase cAMP affinity and hydrolysis to the detriment of cGMP. This mechanism, as well as others, allows for cross-regulation of the cAMP and cGMP pathways. PDE12 cleaves cAMP and oligoadenylates. Phosphodiesterase enzymes are often targets for pharmacological inhibition due to their unique tissue distribution, structural properties, and functional properties. Inhibitors of PDE can prolong or enhance the effects of physiological processes mediated by cAMP or cGMP by inhibition of their degradation by PDE. Sildenafil (Viagra) is an inhibitor of cGMP-specific phosphodiesterase type 5, which enhances the vasodilatory effects of cGMP in the corpus cavernosum and is used to treat erectile dysfunction. Sildenafil is also currently being investigated for its myo- and cardioprotective effects, with particular interest being given to the compound's therapeutic value in the treatment of Duchenne muscular dystrophy and benign prostatic hyperplasia. PDE inhibitors have been identified as new potential therapeutics in areas such as pulmonary arterial hypertension, coronary heart disease, dementia, depression, asthma, COPD, protozoal infections (including malaria) and schizophrenia. PDE also are important in seizure incidence. For example, PDE compromised the antiepileptic activity of adenosine. In addition, using of a PDE inhibitor (pentoxifylline) in pentylenetetrazole-induced seizure indicated the antiepileptic effect by increasing the time latency to seizure incidence and decreasing the seizure duration in vivo. Cilostazol (Pletal) inhibits PDE3. This inhibition allows red blood cells to be more able to bend. This is useful in conditions such as intermittent claudication, as the cells can manoeuvre through constricted veins and arteries more easily. Xanthines such as caffeine and theobromine are cAMP-phosphodiesterase inhibitors. However, the inhibitory effect of xanthines on phosphodiesterases are only seen at dosages higher than what people normally consume. ↑ Uzunov, Petko; Weiss, Benjamin (September 1972). "Separation of multiple molecular forms of cyclic adenosine-3′,5′-monophosphate phosphodiesterase in rat cerebellum by polyacrylamide gel electrophoresis.". Biochimica et Biophysica Acta (BBA) - Enzymology. 284 (1): 220–226. doi:10.1016/0005-2744(72)90060-5. PMID 4342220. ↑ Strada, SJ; Uzunov, P; Weiss, B (December 1974). "Ontogenic development of a phosphodiesterase activator and the multiple forms of cyclic AMP phosphodiesterase of rat brain". Journal of Neurochemistry. 23 (6): 1097–103. doi:10.1111/j.1471-4159.1974.tb12204.x. PMID 4375704. ↑ Weiss, B (1975). "Differential activation and inhibition of the multiple forms of cyclic nucleotide phosphodiesterase". Advances in Cyclic Nucleotide Research. 5: 195–211. PMID 165666. ↑ Fertel, Richard; Weiss, Benjamin (1976). "Properties and drug responsiveness of cyclic nucleotide phosphodiesterases of rat lung". Molecular Pharmacology. 12 (4): 678–87. PMID 183099. ↑ Weiss, B; Hait, W N (1977). "Selective Cyclic Nucleotide Phosphodiesterase Inhibitors as Potential Therapeutic Agents". Annual Review of Pharmacology and Toxicology. 17: 441–77. doi:10.1146/annurev.pa.17.040177.002301. PMID 17360. ↑ Conti, Marco (2000). "Phosphodiesterases and Cyclic Nucleotide Signaling in Endocrine Cells". Molecular Endocrinology. 14 (9): 1317–27. doi:10.1210/mend.14.9.0534. PMID 10976911. ↑ Iffland, André; Kohls, Darcy; Low, Simon; Luan, Jing; Zhang, Yan; Kothe, Michael; Cao, Qing; Kamath, Ajith V.; Ding, Yuan-Hua; Ellenberger, Tom (2005). "Structural Determinants for Inhibitor Specificity and Selectivity in PDE2A Using the Wheat Germ in Vitro Translation System". Biochemistry. 44 (23): 8312–25. doi:10.1021/bi047313h. PMID 15938621. ↑ Jeon, Y. H.; Heo, Y. -S.; Kim, C. M.; Hyun, Y. -L.; Lee, T. G.; Ro, S.; Cho, J. M. (2005). "Phosphodiesterase: overview of protein structures, potential therapeutic applications and recent progress in drug development". Cellular and Molecular Life Sciences. 62 (11): 1198–220. doi:10.1007/s00018-005-4533-5. PMID 15798894. ↑ Khairallah, M.; Khairallah, R. J.; Young, M. E.; Allen, B. G.; Gillis, M. A.; Danialou, G.; Deschepper, C. F.; Petrof, B. J.; Des Rosiers, C. (2008). "Sildenafil and cardiomyocyte-specific cGMP signaling prevent cardiomyopathic changes associated with dystrophin deficiency". Proceedings of the National Academy of Sciences. 105 (19): 7028–33. doi:10.1073/pnas.0710595105. PMC 2383977 . PMID 18474859. ↑ Wang, Chunyu (2010). "Phosphodiesterase-5 inhibitors and benign prostatic hyperplasia". Current Opinion in Urology. 20 (1): 49–54. doi:10.1097/MOU.0b013e328333ac68. PMID 19887943. ↑ Hosseini-Zare, Mahshid Sadat; Salehi, Forouz; Seyedi, Seyedeh Yalda; Azami, Kian; Ghadiri, Tahereh; Mobasseri, Mohammad; Gholizadeh, Shervin; Beyer, Cordian; Sharifzadeh, Mohammad (2011). "Effects of pentoxifylline and H-89 on epileptogenic activity of bucladesine in pentylenetetrazol-treated mice". European Journal of Pharmacology. 670 (2-3): 464–70. doi:10.1016/j.ejphar.2011.09.026. PMID 21946102. ↑ Yuasa, Keizo; Mi-Ichi, Fumika; Kobayashi, Tamaki; Yamanouchi, Masaya; Kotera, Jun; Kita, Kiyoshi; Omori, Kenji (2005). "PfPDE1, a novel cGMP-specific phosphodiesterase from the human malaria parasitePlasmodium falciparum". Biochemical Journal. 392 (Pt 1): 221–9. doi:10.1042/BJ20050425. PMC 1317681 . PMID 16038615.